Adam Lindsay Gordon (19 October 1833 – 24 June 1870) was an Australian poet, jockey, police officer, and politician. Gordon was born at Fayal in the Azores, son of Captain Adam Durnford Gordon, who had married his first cousin, Harriet Gordon, both of whom were descended from Adam Gordon of Auchindoun, of the ballad "Edom o Gordon". Captain Gordon, who had retired from the Bengal cavalry and taught Hindustani, was then staying at the Azores for the sake of his wife's health. After living on the island of Madeira, they went to England and lived at Cheltenham in 1840. Gordon's mother was a slaveholder who owned slaves in the British West Indies. She was compensated a significant sum for her lost property upon the emancipation of slavery in the 1830s. Gordon inherited some £7,000 in 1859 from his mother's estate. Gordon was sent to Cheltenham College in 1841, when he was only seven, but after he had been there a year, he was sent to a school kept by the Rev. Samuel Ollis Garrard in Gloucestershire. He attended the Royal Military Academy, Woolwich, in 1848, where he was a contemporary and friend of Charles George Gordon (no relation, later Gordon of Khartoum) and Thomas Bland Strange (later known as Gunner Jingo). There, Gordon appears to have been good at sports, but not studious and certainly undisciplined, and like Richard Henry Horne, he was asked to leave. Gordon was again admitted a pupil at Cheltenham College. He was not there for long; he appears to have left in the middle of 1852, but the story that he was expelled from Cheltenham is without foundation. Then, Gordon was sent to the Royal Grammar School Worcester in 1852. Gordon began to lead a wild and aimless life, contracted debts, and was a great anxiety to his father, who at last decided that his son should go to Australia and make a fresh start in 1853 to join the mounted police with a letter of introduction to the governor. Gordon had fallen in love with Jane Bridges, a girl, aged 17 who was able to tell the story 60 years afterwards to his biographers. Gordon did not declare his love until he came to say good-bye to her before leaving for Australia on 7 August 1853. "With characteristic recklessness, he offered to sacrifice the passage he had taken to Australia, and all his father's plans for giving him a fresh start in life, if she would tell him not to go, or promise to be his wife, or even give him some hope." This she could not do, though she liked the shy, handsome boy and remembered him with affection to the end of a long life. It was the one romance of Gordon's life. That Gordon realised his conduct had fallen much below what it might have been can be seen in his poems ... "To my Sister", written three days before he left England, and "Early Adieux", evidently written about the same time. Gordon was just over 20 years old when he arrived in Adelaide on 14 November 1853. He immediately obtained a position in the South Australian mounted police and was stationed at Mount Gambier and Penola. Adam Lindsay Gordon also acted as groom for a period to senior South Australian Police Officer Alexander Tolmer. On 4 November 1855, he resigned from the force and took up horse-breaking in the south-eastern district of South Australia. The interest in horse-racing, which he had shown as a youth in England, was continued in Australia, and in a letter written in November 1854, he mentioned that he had a horse for the steeplechase at the next meeting. In 1857, he met the Rev. Julian Tenison Woods, who lent him books and talked poetry with him. He then had the reputation of being "a good steady lad and a splendid horseman". In this year, his father died and he also lost his mother about two years later. From her estate, he received £6944–18–1 on 26 October 1861. He was making a reputation as a rider over hurdles, and several times either won or was placed in local hurdle races and steeplechases. On 6 August 1859, the ship Admella ran aground on the Cape Northumberland shoals, not a great distance from where Gordon is known to have been staying. The ship broke up, many perished (see main article), and many heroic feats were attempted, including an epic horse ride to Mount Gambier to summon help. Some 10 years later, Gordon wrote a poem "From the Wreck", probably inspired by this story, but somehow the popular imagination put Gordon in that saddle, and a number of newspaper articles were written to debunk the myth. On 20 October 1862, he married Margaret Park, then a girl of 17. In March 1864, Gordon bought a cottage, Dingley Dell, near Port MacDonnell, and in this same year, inspired by six engravings after Noel Paton illustrating "The Dowie Dens O' Yarrow", Gordon wrote a poem "The Feud", of which 30 copies were printed at Mount Gambier. On 11 January 1865, he received a deputation asking him to stand for parliament and was elected by three votes to the South Australian House of Assembly on 16 March 1865 for the district of Victoria. In politics, Gordon was a maverick. His semiclassical speeches were colourful and entertaining, but largely irrelevant, and he resigned his seat on 10 November 1866. He found a good friend in wealthy fellow parliamentarian John Riddoch of Penola, and was a frequent guest at his grand residence "Yallum". There he wrote "The Sick Stockrider". Gordon's time in politics stimulated him to greater activity – poetry, horse racing, and speculation. He was contributing verse to the Australasian and Bell's Life in Victoria and doing a fair amount of riding. He bought some land in Western Australia, but returned from a visit there early in 1867 and went to live at Mount Gambier. On 10 June 1867, he published "Ashtaroth, a Dramatic Lyric", and on the 19th of the same month, "Sea Spray and Smoke Drift". With his failures behind him, Gordon turned to Victoria, not to Melbourne, which had ignored his poetry, but to Ballarat. In November, he rented Craig's livery stables at Ballarat in partnership with Harry Mount, but he had no head for business and the venture was a failure. In March 1868, he had a serious accident, a horse smashing his head against a gatepost of his own yard. His daughter, born on 3 May 1867, died at the age of 11 months, his financial difficulties were increasing, and he fell into very low spirits. In spite of short sight, he was becoming very well known as a gentleman rider, and on 10 October 1868, actually won three races in one day at the Melbourne Hunt Club steeplechase meeting. He rode with great patience and judgment, but his want of good sight was always a handicap. He began riding for money, but was not fortunate and had more than one serious fall. He sold his business and left Ballarat in October 1868 and came to Melbourne, and eventually found lodgings at 10 Lewis Street, Brighton. He had succeeded in straightening his financial affairs and was more cheerful. He made a little money out of his racing and became a member of the Yorick Club, where he was friendly with Marcus Clarke, George Gordon McCrae, and a little later Henry Kendall. On 12 March 1870, Gordon had a bad fall while riding in a steeplechase at Flemington Racecourse. His head was injured and he never completely recovered. He had for some time been endeavouring to show that he was heir to the estate of Esslemont in Scotland, but there was a flaw in the entail, and in June, he learnt that his claim must be abandoned. He had seen his last book, Bush Ballads and Galloping Rhymes, through the press, and it was published on 23 June 1870; it was not successful at the time, but is now regarded as one of the most important pieces of Australian literature. Gordon on that day met Kendall, who showed him the proof of the favourable review he had written for the Australasian but Gordon had just asked his publishers what he owed them for printing the book, and realised that he had no money to pay them and no prospects. He went home to his cottage at 10 Lewis Street Brighton carrying a package of cartridges for his rifle. Next morning, he rose early, walked into the tea-tree scrub, and shot himself. His wife went back to South Australia, married Peter Low, and lived until November 1919. In October 1870, a monument was erected over his grave at the Brighton General Cemetery by his close friends, and on Sunday, 30 October 1932, a statue to his memory by Paul Montford was unveiled near parliament house, Melbourne; and many other statues and monuments throughout Australia. In May 1934, his bust was placed in Poets' Corner, Westminster Abbey, and he remains the only Australian poet commemorated there. Statue of Gordon in Melbourne, erected in 1932 by public subscription, carved beneath are the following lines from "Ye Wearie Wayfarer": "Life is mainly froth and bubble / Two things stand like stone / Kindness in another's trouble / Courage in your own". Gordon was tall and handsome (see portrait prefixed to The Laureate of the Centaurs). But he stooped and held himself badly, partly on account of his short sight. He was shy, sensitive and, even before he was overwhelmed with troubles, inclined to be moody. 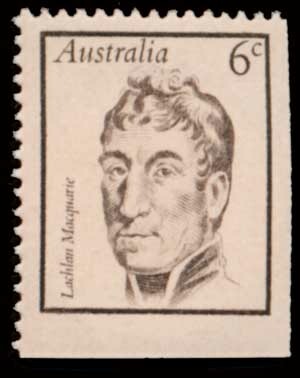 After his head was injured at Ballarat he was never the same man again, and subsequent accidents aggravated his condition. Any suggestion that drink was a contributing cause may be disregarded. Sir Frank Madden, who was with him the day before his death, said that he was then absolutely sober, "he never cared for it [drink] and so far as I know seldom took it at all". The Rev. Tenison Woods in his "Personal Reminiscences" said "Those who did not know Gordon attributed his suicide to drink, but I repeat he was most temperate and disliked the company of drinking men". Gordon's death drew much attention to his work, and especially in Melbourne, the appreciation of it became overdone. This led to a revulsion of feeling among better judges and for a time it was underrated in some quarters. George Bernard Shaw jokes about Gordon's verse in his play Shakes versus Shav, a dialogue between Shakespeare and himself during which Shakespeare laughs at a line attributed to Gordon. Much of his verse is careless and banal, passages in "Ashtaroth", for instance, are almost unbelievably bad, but at his best, he is a poet of importance, who on occasions wrote some magnificent lines. Douglas Sladen, a lifelong admirer, in his Adam Lindsay Gordon, The Westminster Abbey Memorial Volume has made a selection of 27 poems that occupy about 90 pages. Without subscribing to every poem selected, it may be said that Gordon is most adequately represented in a sheaf of this kind. His most sustained effort, the "Rhyme of Joyous Garde", has some glorious stanzas, and on it and some 20 other poems Gordon's fame may be allowed to rest. One of Gordon's poems, "The Swimmer", forms the libretto for the fifth movement of Edward Elgar's song cycle Sea Pictures, and Elgar also set to music another of his poems, "A Song of Autumn". After a particularly trying year for the British Royal Family, Elizabeth II quoted from one of Gordon's more famous poems in her Christmas Message of 1992, "Kindness in another's trouble, courage in one's own..", but did not mention the poet's name. Dingley Dell, Gordon's property and home from 1862 to 1866, are preserved as a conservation park and as a museum. The museum houses early volumes of his work, personal effects, and a display of his horse-riding equipment. In 1970, Gordon was honoured on a postage stamp bearing his portrait issued by Australia Post. .
On 20 September 2014, Gordon was inducted in the Australian Jumps Racing Association's Gallery of Champions. ^ Mennell, Philip (1892). "Gordon, Adam Lindsay" . The Dictionary of Australasian Biography. London: Hutchinson & Co – via Wikisource. ^ "From the Wreck". The Mail. Adelaide: National Library of Australia. 17 September 1927. p. 15. Retrieved 18 February 2013. ^ "Traditional Featured Poet – Adam Lindsay Gordon". Bush Song Newsletter. Archived from the original on 19 August 2011. Retrieved 30 May 2011. ^ "Statistical Record of the Legislature, 1836–2007" (PDF). Parliament of South Australia. Retrieved 22 June 2013. ^ Adam Lindsay Gordon: Memorial Statue Unveiled, The Age, (Monday, 31 October 1932), p.8; Adam Lindsay Gordon: Statue Unveiled, The Argus, (Monday, 31 October 1932), p.6. ^ The small, triangular park within which the statue stands, is known as Gordon Reserve; at one of the park's other corners is a statue of his military academy friend and associate Gordon of Khartoum (see ). ^ Miller, John (2007). Australia's Writers and Poets. Exisle Publishing. p. 31. ^ "Dingley Dell Conservation Park". Department of Environment, Water and Natural Resources, Government of South Australia. Retrieved 10 May 2017. ^ "Dingley Dell Museum". South Australian Heritage Register. Department of Environment, Water and Natural Resources. Retrieved 19 August 2016. ^ Hill, Kate (22 September 2014). "South East's hero horseman recognised". Australian Broadcasting Corporation. Retrieved 22 September 2014. Dingley Dell, home of Adam Lindsay Gordon. Department for the Environment. 1978. ISBN 0-7243-5431-X. Kramer, Leonie, 'Gordon, Adam Lindsay (1833–1870)', Australian Dictionary of Biography, Volume 4, Melbourne University Press, 1972, pp 267–269. Retrieved on 24 December 2008. Serle, Percival (1949). "Gordon, Adam Lindsay". Dictionary of Australian Biography. Sydney: Angus and Robertson. Retrieved 24 December 2008. Gordon, Adam Lindsay (1975). Bushland Ballads and Galloping Rhymes. Adelaide: Rigby. Hutton, Geoffrey (1978). Adam Lindsay Gordon – The Man and the Myth. London: Faber & Faber.